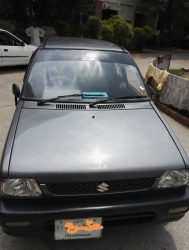 Suzuki Mehran 2009 model is in Genuine condition, family used car. 100% original. Alloy Rims, CNG,AC and CD,USB Player installed. original paint. 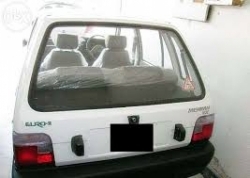 CNG Installed from factory. 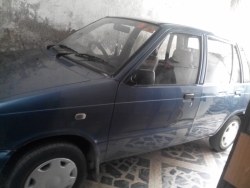 Original book of this car is also available.Complete service history available Engine is good condition. Never been into any accident.All token taxes are paid for life. Need to sell the car urgently. Price is flexible. 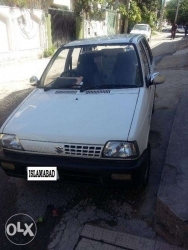 suzuki mehran Model 2012 EFI EURU II COLOUR WHITE ISLAMABAD Number suspension ok .ENGINE 100% OK new alloy rim brand new tyre LINGLONG brand new Dry b battery VOLTA centerly locking system petrol Heater is properly working documents are original, seats as clean as new, dashboard is scratch less and clean and same is the condition of its ceiling. It's a clean and performance vehicle for its lovers. The rest you can check yourself. 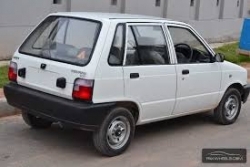 P.S: You can find no car of its match in this model! 1999 model, in a very good condition home used and single hand car. Life time Token Paid. CD Player with japani Speaker. 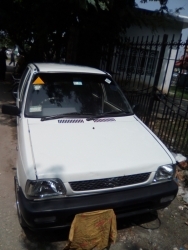 hello i m selling my car it is in excellent condition and everything is genuine. A beautiful family car totally driven in Islamabad. No mechanical work required just purchase and enjoy drive. Tremendous millage on CNG & Petrol. Price is negotiable. 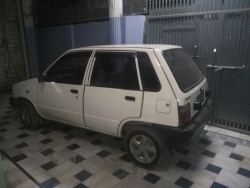 Suzuki Mehran VX November 2014 EURO II Bumper to bumper Original. Rwalapindi number. Slightly negotiable. Please serious buyers contact only. - Car condition: like new. - Fuel used: Petrol only (CNG never installed). - Original book is available - All Token Taxes are paid to date. 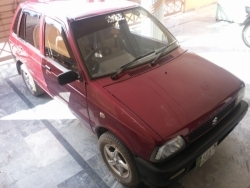 - Used in Islamabad/Rawalpindi only - Price is negotiable. Urgently need to sell the car (Serious buyers only).